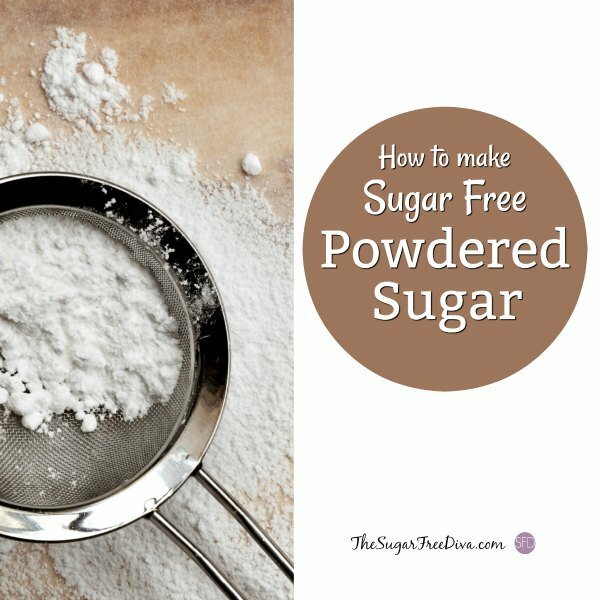 People are always asking me How to Make Sugar Free Powdered Sugar. Since I use powdered sugar in a lot of my recipes, I thought that I would share How to Make Sugar Free Powdered Sugar. Any time there is a sugar free cheat for something I get excited. As bakers, we use powdered, also known as confectioners, sugar quite often. We can make icing out this or add it to another recipe. There is a downside for us when we use powdered sugar in our recipes. The downside it that powdered sugar a sugar. This is a sugar that is seriously sweet. Luckily, we can make our own powdered sugar alternative that is also sugar free. We make our own powdered or confectioners sugar that is also sugar free. The basic recipe for this. Sift or blend together 3/4 cups of a granular sucralose sweetener such as Splenda and 2 tablespoons cornstarch. 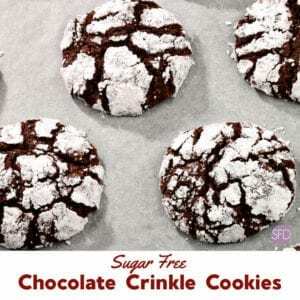 Use this recipe as you would use powdered sugar. Blend these together until you achieve that powdered sugar consistency. Make sugar free powdered sugar using this method. When using Stevia products, such as Truvía®, choose a Baking Blend. You can combine 1 teaspoon of corn starch per 1 cup of this Stevia contained Baking Blend. Once you have combined these ingredients, you can use a blender or food processor to blend (on high). As a result, for all three methods, you should consequently be able to get a texture that is close powdered sugar to use in your recipes. While you are here, you may enjoy these relevant recipes as well. I’m a bit confused about the basic recipe for powdered sugar. Are you saying that you can make powdered sugar by just blending the 3/4 cup Splenda without anything else? I’m thinking it would take more than just the Splenda. Hi- the Splenda recipe for powdered sugar is toSift or blend together 3/4 cups of a granular sucralose sweetener such as Splenda and 2 tablespoons cornstarch. I make this all the time and she means 1 tsp of cornstarch to the 3/4 of splenda. I am confused with the alternate recipe. It calls for 2 cups of cornstarch to be added to the rest of the ingredients. Is this a misprint? It seems like too much starch. Please advise. I also only add 1 tsp of cornstarch to splenda to get confectioner’s sugar, and that seems to work well. I also cover my food processor with a kitchen towel while making confectioner’s sugar so that I don’t have “sugar” dust everywhere. Thank you for pointing this out. It is 3/4 cup of granular Splenda and 2 tablespoons of cornstarch. I love your tip about covering the food processor. I do this often especially with my mixer as it saves a lot of clean up time. Trivia Baking Blend has sugar in it, so it is not sugar-free. 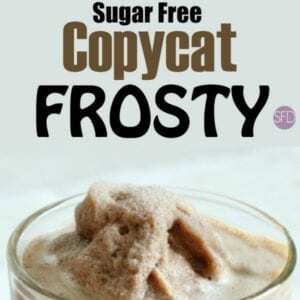 Swerve Sweetener makes a confectioners all natural sugar replacement. Takes out all that extra work!